A guest educator was visiting our school and offering an activity for the children to explore. The activity was traditional in nature, one school age children often experience in afterschool programs. 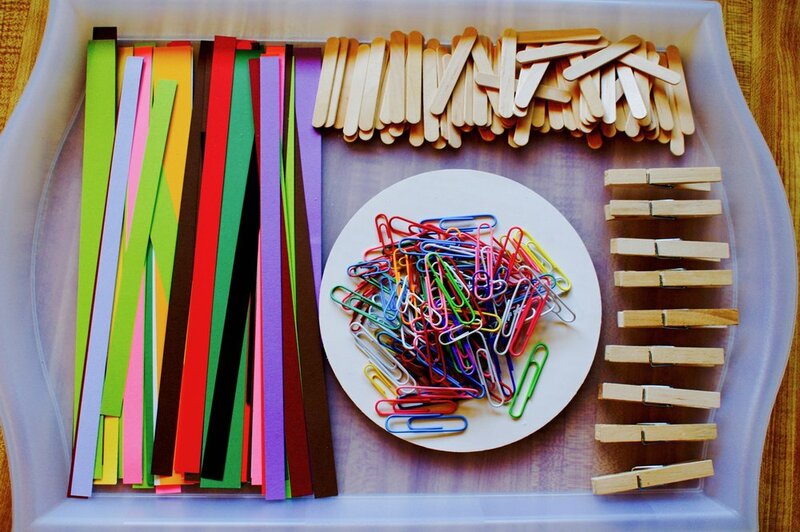 The children were given a collection of items, including three paper cups, three clothespins, four popsicles sticks, six round toothpicks, three fruit chews, and ten mini-marshmallows. Most of the children were attracted to the activity initially because of their interest in the materials, especially the candy and marshmallows. As an observer, I wondered if the candy was a distraction from exploring the other materials and focusing on the possibilities of those materials? The invitation asked the children to create a structure at least five inches tall and the structure needed to able to hold the weight of one large wooden block without collapsing or falling over. The children were instructed to work alone while exploring and experimenting with the materials for a prescribed period of time. I was observing and wondering if the children would be concerned with the time structure of the build instead of exploring the possibilities of the materials. The children in the program usually work at their own pace and in collaboration with other children and the educators. The children were instructed to work alone, when having the freedom to choose a partner or create a group could have expanded the possibilities of the build and execution of their design. Inviting the children to create with the materials would have been enough motivation to get the creative juices flowing. I was interested in how offering specific instructions influenced the process the children used when approaching this work? All of the children were enthusiastic about starting this activity. As the work began, a spirited conversation grew among the children about creating a unique design. There were many different experimental designs being explored. One child created a unique foundation design that attracted attention from the other children. This design used three paper cups that were stacked in a triangular pattern, to create strength. Almost immediately, five children replicated the design of the foundation and incorporated it into their structure. A discussion started amongst the children about if using others ideas was acceptable, to look at another design and then incorporate those ideas into your creation. Some children said with conviction that copying is bad and against the rules. Other children thought it was okay to share ideas. The discussion went on as I continued to observe the other children. Looking at the different structures being created, I noticed one child fashioned a roof for their structure using four Popsicle sticks in a crisscross pattern. The other children noticed this design too, and talked about the potential strength this design offered to hold the large block and keep their creations from collapsing. Within a few minutes, other children started incorporating the crisscross design into their structures. This fueled a new round of discussion among the children about the etiquette involved when creating structures together. This time the children did not ask my opinion and looked to each other for answers through further discussion. As an observer, I wondered how the environment contributed to the concern the children were expressing and how the activity was presented affected the cooperative nature of the children. Most likely, the instruction to work alone created a competitive spirit instead of a collaborative one and fueled the questions about copying versus sharing ideas. In the end, most of the children created a structure. It was measured and then tested for strength. Some of the structures fell over under the weight of the large block. The children thought this was funny and exciting and did not seem concerned with the outcome. When the block experiment was over, everyone was excited to take his or her structure apart and eat candy. The children then moved on with their day and our guest educator left. When children are motivated to create from ideas of their peers is that copying, inspiration, or iteration? This experience brings into focus the importance of how educators present materials and invitations. Thinking about our practice is important and influences the experiences children encounter. Creating a thoughtful invitation is much more than placing materials out on table and inviting the children to play. Children’s opportunities for discovery are enhanced when the intention, motivation, and interests of the children are taken in to consideration before the invitation is offered.